Carlie Massey is the name and being happy is the game. 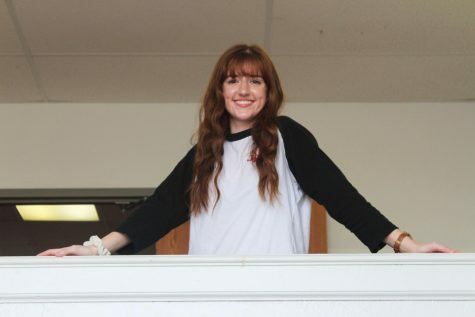 Carlie is a junior, second year staffer, copy editor for The Mirror and editor for the online edition of The Mirror. She also serves as vice president for The Mirror and is a section leader for the clarinets in the band. She has won medals in UIL journalism her freshman and sophomore year, advancing to regionals as a sophomore. She has been in theatre for three years and has acted in a total of nine plays, including the UIL One Act play this past spring. She enjoys helping people and being creative. Her dream is to go to a local college to have a job in communications. You can visit her at Brookshires in Kilgore probably anytime because she's there 24/7.